Before the beginning of modern medicine and pharmacology, we had plant medicine. Our great grandmothers knew the healing properties of many plants that we now refer to as weeds. How did we forget this? The simple healing properties of dandelion, burdock, chamomile, chickweed, plantain, and more can take our body out of a place of sickness, into a happy healed place. Have you ever wondered how these plants do this? I have had this curiosity all my life and use the knowledge that was shared with me in my own healing journey. I was blessed at a young age (eight years old) to be taken under the wing of Betty Woodford of the Pine Barrens. She taught me many things about the Pine Barrens. However, learning how to use the plants as medicines has always been amazing, as well as, making healing salves and medicines to help heal wild animals. Everything about plants has my attentiveness. My interest in plants has always been a keen study, from their leaves, flowers, tastes and shapes have always been an easy “learn” for me. Maybe in my past lives I have also been an herbalist. Next time your outside on a weed walk, see what weeds are trying to connect with you. How can they aid in your healthy living? Are there more then just one type of plant that is calling your interest? What does the dandelion say to you? 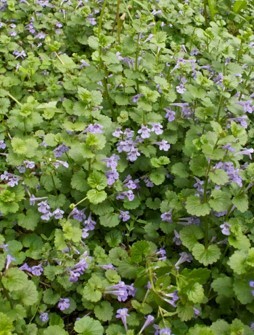 Does the plantain, ground ivy or the vinca sing a song to you, are you listening? It is time for us to start acknowledging the amazing gifts we have been given growing all around us in nature. If you’re a gardener, what plants are you attracted to? It is time to learn their names, learn their healing properties and see how they can make your life better. ← I have a Cold! !